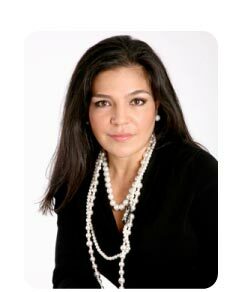 Cristina Maria Lloyd is the CEO of OuttaSpace, a full-service organization and home-staging company based in Miami Florida. Her company services clients anywhere in the world. With over a decade of experience in construction project management of retail spaces, she has overseen renovations and transformations in both the personal and professional sense, She fully understands the importance of organization and its correlation between the mental and physical space - a cluttered space is the result of a cluttered mind and vice-versa! National Association of Professional Organizers (NAPO). Treasurer for the NAPO South Florida Chapter. National Association of Professional Women (NAPW). Miami Beach Chamber of Commerce / Miami Arts and Design Council. She's an active Board Member in the Women's Business Council and the Emerging Leader Council. Member of the South Beach BNI Chapter. Prior to establishing OuttaSpace, she was contracted as a Project Manager with Starbucks Coffee Company and Washington Mutual. She graduated from Southern Polytechnic State University in Marietta, Georgia with a Bachelor's Degree of Science in Management. She currently resides in Miami, Florida.